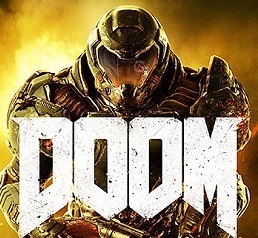 In DOOM, you will find nine multiplayer maps. On all maps you’ll find some useful items, such as power weapons, demons runes or just ammunition boxes and even small hidden secrets, where it is up to you to discover them. - Chasm: This map is huge. It will lead you directly to the polar caps of Mars. - Excavation: This map is a manageable size. It is a UAC outpost, located in the degradation. In any case, you should pay attention to the rock grinder. - Disposal: This map is slightly smaller. It is the place where there is the waste processing system of research and residential complexes. You can find their very much radioactive slime that can hurt you. - Helix: This is the map where they experiment on the demons and develop advanced weapons. - Heat Wave: You can find an industrial UAC station on this map. The corridors are blindingly hot and full of lava. - Infernal: This map is mediocre big. It has indoor and outdoor and has many platforms, teleporters and chasms, here you should pay attention. - Beneath: Here you find yourself in a cavernous venue, which is already built almost symmetrical. In this place, the energies of hell gather before they are beamed toward Earth. - Perdition: You come across this map in an ancient arena. You hear an agonizing groan from souls who have suffered in this place and had to give their lives. - Explosive drums and cans: They are on a multiplayer map. They can be used to destroy groups of enemies. While the drums explode only normal, so the can also left an ordinary surface damage because of them mucus or the like exits, the remains lie a while. It can harm you, but also the demons. So be careful don’t run recklessly. - Radioactive Slime: It's green, it's disgusting, and some levels are full of this slime. It can be fatal for you If contact. - Fire and plasma / energy: The same is true of these two sources of danger. Demons are the way just as immune as against radioactive slime against fire and plasma. - Lava and death pits: These two you should be avoided if possible. Fall in such a pit or comes in contact with, then you die immediately, as well as demons and monsters. - Teleporter: Some Doom maps have this practical equipment that takes you from one place to another in the arena, or rather teleport. There are different Teleorters, some teleport in one direction only, while others are also back. Demons can also use this. However, it does not work to teleport in missiles or rockets. - Jump platforms: Similar to an elevator, it will take you to the higher levels in a matter of seconds.